The stone landscape near Shanhaitian Hotel has recently reopened to the public after sustained media coverage of the public resource having been deliberately converted into private property, reports 0898.net. Located at the edge of the shoreline near Shanhaitian Hotel, the stone landscape was in the past a very popular spot for residents and tourists. However, after renovation and with the reason given as environmental protection, the narrow path to the spot was fenced-off by the hotel and only hotel guests were permitted access. 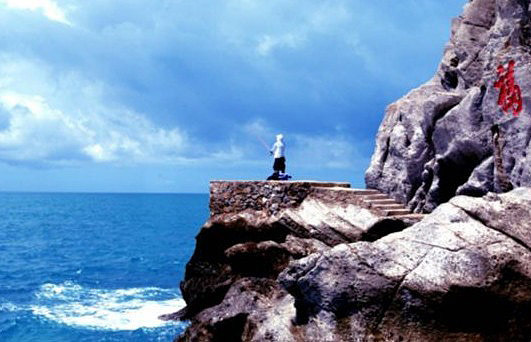 According to an official from Sanya Tourism Development Commission, the stone landscape is a public resource and any companies without legal permission can not use it for business or monetary gain. The premise of protecting the environment was doubted by the commission, and it was ruled that the area should be opened to the public to allow more people have the opportunity to enjoy the beautiful coastal views. In response to the public’s concerns, the hotel is now looking for more appropriate ways to manage the public site and tourists are now again allowed access.